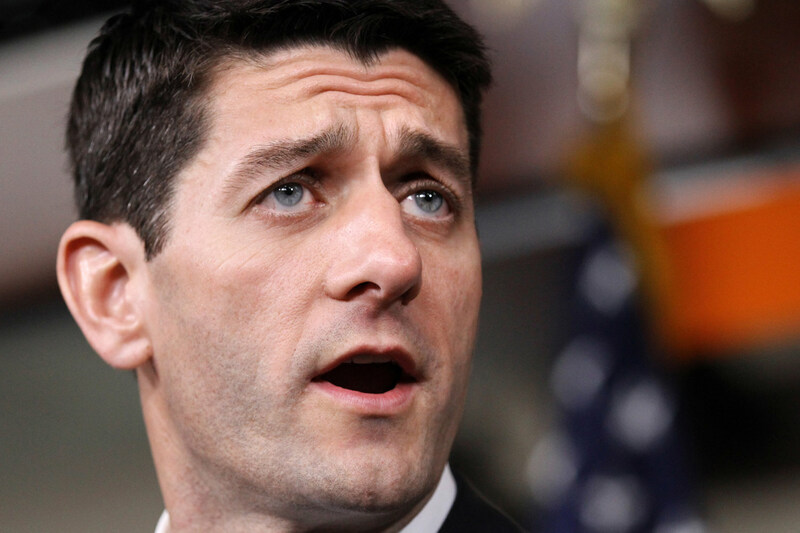 Ryan is asking the poor to be more flexible in being oppressed. The centerpiece of Ryan’s latest budget plan is the so-called “opportunity grant,” which consolidates eleven federal programs into a single chunk of funding, including food stamps, subsidized childcare, and housing funds. This ultimately forces welfare admnistrations to parcel out money for, say, rehabilitation programs for people with disabilities, senior centers and subsidized daycare for toddlers, all from the same capped fiscal pot, which in turn dilutes overall funding streams and undercuts resources for directly assisting the poor. Progressive critics say that this formula has been tried before, with the 1996 welfare reform law that gutted key public assistance programs. Those measures capped benefits and lumped programs into a single pot of funding, with disastrous effects on the poor. Ryan’s “opportunity grant,” as Bob and Barbara Dreyfuss reported earlier, would impose the same austerity two-step of capping and consolidating. Following the “accountability” framework of the current welfare laws, Ryan’s “opportunity” program would impose strict requirements on welfare recipients, which would humiliatingly micromanage their household spending work-related activites. The program also promotes the Earned Income Tax Credit, which subsidizes incomes through income tax refunds, as an alternative to direct cash benefits, suggesting that tax breaks are a form of assistance superior to cash payments. At the heart of Ryan’s plan is an all-out assault on food stamps. Food stamps are a favorite target for small-government conservatives because (1) they run the way a welfare program should—benefits expand based on people’s need, not the political whims of Capitol Hill; and (2) even though benefits are extremely lean, only a few dollars per day, food subsidies are extremely effective at reducing poverty—so it’s the kind of welfare libertarians hate. Although the 1996 welfare reforms were supposed to promote self-sufficiency—and overall poverty has fallen by some measures—CBPP’s longitudinal analyses shows that “deep poverty”—or living on less than roughly $8.50 per day—has actually surged, particularly among children. And according to new research by H. Luke Shaefer and Kathryn Edin, published in Pathways, the number of households surviving in extreme poverty, or on less than about $2 per day, has more than doubled since the Clinton-era reforms were enacted. Although all demographics experienced greater poverty and instability over a fifteen-year period, racial and gender disparities aggravate the effects. Extreme poverty shot up 186 percent among blacks, and 134 percent among whites. While households headed by married couples saw extreme poverty nearly double, single-woman households saw a staggering 230 percent rise. Fortunately, there’s still enough of the welfare state left to offset some of this trend. When various income supports are factored in, there was just a 50 percent increase in the number of households living on $2 or less per day. Other sources of income may include cash benefits, “contributions from family and friends and income from odd jobs, among other things.” So they’re barely scraping by, much less seizing the job opportunity that Ryan claims is just around the corner. Today funding for the Temporary Assistance for Needy Families Block Grant, the main source for cash assistance, managed jointly by states and Washington, is not only frozen but melting away. TANF has seen much of its value erode through inflation since 1996. According to the CBPP, spending on basic assistance declined in real dollars by 50 percent between 1997 and 2011. Ryan’s plan, which embraces an elitist concept of flexibility by giving more freedom to employers to pay workers as little as possible and more freedom to officials to cut public spending, encapsulates the free-market logic of empowering capital through the unfreedom of labor. The working poor get to eat all the cake they can get. The hierarchy of employers over workers that the Ryan plan promotes reflects a profound mistrust of, along with social disinvestment from, those who already have the least power over their economic lives. In contrast to Ryan’s rhetoric, numerous studies show that when entrusted with the flexibility to spend cash assistance however they want, people generally use it to fit their rational needs. These actual studies, of course, defy the stereotypes that the poor would rather splurge on frivolous expenses like cigarettes and beer. Ryan is asking the poor to be more flexible in being oppressed—to seize the opportunity to sleep under the bridge of their choice. This rationale presents the poor themselves, not the social system of poverty, as the scourge the government must get rid of. And as long as they’re wiped off the welfare rolls, they really do disappear, in a way. To many in Washington, they were never visible.